I have frequent San Sebastián Church lately in Manila. I feel so blessed to be able to watch someone else’s wedding! Aside from the glamour (wedding gowns, shoes, accessories, tuxedos, etc), I am so eager to hear the homily! It helps not only the couple to be wed, but also those who are already married and undergoing challenges in their relationship. Yesterday this is the gist of the homily: Marriage is not the end of being in love, being honest, and being faithful. 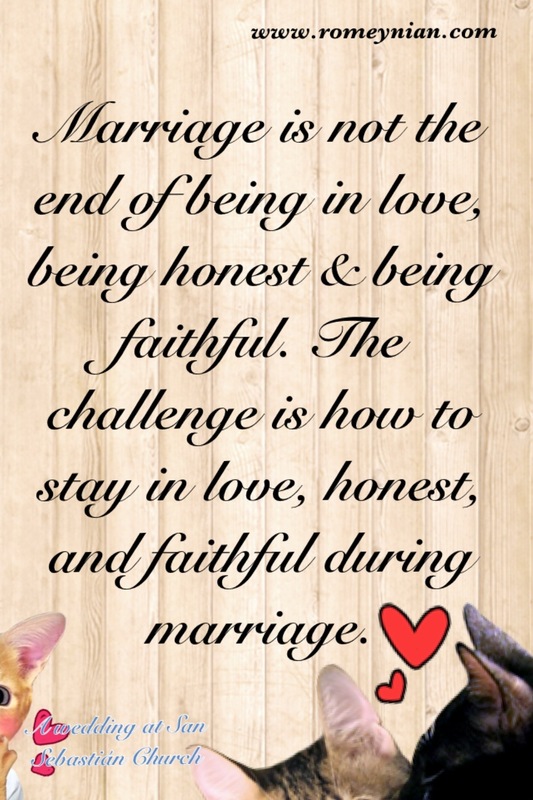 The challenge is to stay in love, honest, and faithful during marriage.